Through play and homeschool games, parents can help their children navigate their world. And when parents play alongside their children, they can use opportunities to teach a variety of social skills and create worthwhile memories at the same time. At a time where children's playtime continues to decrease due to a number of factors including the emphasis on schooling at an early age, electronic media replacing play time which means less time playing outside, and perceived risks of play environments where parents are over concerned about environments and limit their play, we need to be active proponents of 'play' and how it benefits children. As an educator, you might like to know what types of skills, homeschool games will help to promote in your child. Using homeschool games is an excellent choice for children who need to learn in a visual and hands-on way. It can help children to keep their concentration, to be aware of those around them and be actively participating in a group setting. 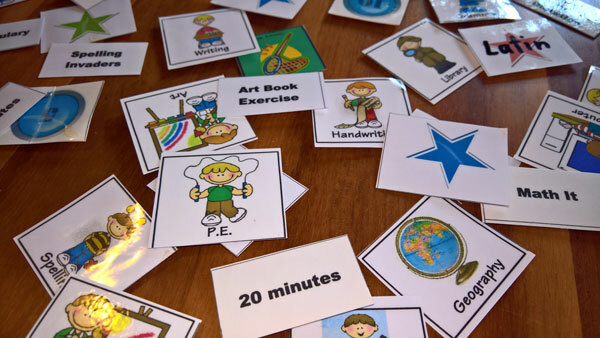 I'm not really fussed as to whether the game fits into a subject area because learning happens in many different formats at different times incorporating many subject areas. Just because you're playing Risk or Ticket to Ride on a map board - doesn't really mean it is a "Geography" game. Rather, it's a game using the world as the playing board. Yes - you do learn your geography and some history, but you're learning many, many other skills at the same time. As you homeschool, you will find that certain games will be a favourite for a while and then as the children grow older, their game tastes will also change. Also, some of the common games can be adapted educationally to include whatever you are learning at the time. For example, when using dice in a simple "Snakes and Ladders" game, you may choose to use 2 dice - adding, subtracting or multiplying the numbers depending on what needs to be taught. Also, if using the Scrabble letters - you can easily adapt the game and create crosswords of your spelling words for the week. 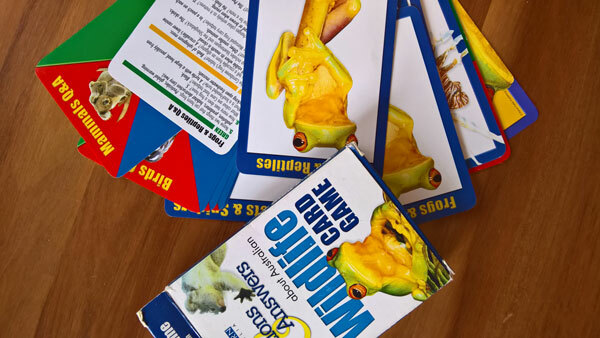 Here's some more reading games for kids. I do believe that if you are a family who plays a lot of games, you will teach your children a set of skills which will enable them to take on more complicated games than the child who has never needed to understand a complicated set of rules. Some games are complex and involve planning and take time to learn and to play, while others are simple, fun games you can play when you've got just a bit of time to spare. 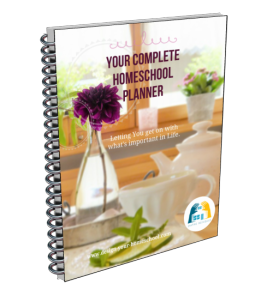 To supplement your own homeschool curriculum, you can insert a range of homeschool games ranging from card games, board games, online games, homemade games and games across the subject area. Here are some of our favourites in each category. The product links are Amazon affiliate links. These logic games range in skill as well as time needed and these types of games are a hit in our home just because you can sit down and play a game in 20 minutes between two players. I love these games because you don't even think you're learning - but in the process, you are making a huge range of logical decisions, planning, forward thinking and reasoning - all in a fun environment. Our favourites are Chess. Of course, with Chess, it's pretty easy to learn, and the more you play, the more strategic and complex the game becomes. Others we love are Cluedo, Rush Hour, Blokus, Tri-Onimoes and Mastermind. We also really love Scotland Yard - in which 5 detectives are on the lookout for the criminal who is hiding his location and only showing his movements via different transport options. It's a nice collaborative game. Games like Connect Four can be played in the simple format or still with the same aim in mind, can be in the format of Pentago with moving squares to complicate the mind. What's your best board games? In the top list, I would add Monopoly, Scrabble, Snakes and Ladders (quick and simple for all ages), Trouble - such a good game. Strategy games involve thinking, planning ahead as well as a bit of luck. For some of my boys, more strategy and less luck the better! The range of strategy games available is huge and growing. As our children have grown older, we often buy a new family game at Christmas. The first strategy game we played (and still do) was Risk. Your job is to move your army across the world, conquer territories and complete your specific mission. We now have the upgraded Risk board with infantry, cannons and artillery - after our old board was being held together by tape. Settlers of Catan - there are a number of additional expansion sets you can buy. 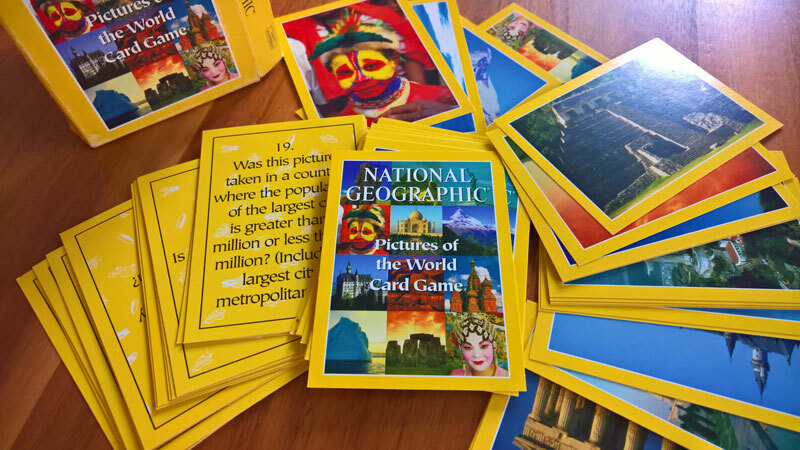 Card games which we have loved as a homeschooling family. Firstly, there are the favourite card games which everyone loves at some stage. These include Uno and Skipbo. Out of the two, we would prefer to play Uno. We also enjoyed playing Phase 10 as this is a rummy style card game in which you need to create runs of cards in similar colours or a combination. It reminds me of Rummikub, but in a card format. Another great card game is Jungle Speed. This is so much fun in a big group and is all about finding a match so this can be played with a variety of ages. It can get quite rowdy and excitable as you need to dive to grab the token when you've discovered a match. There are a few ways to play this game. But - the game we go back to, time and again is "Dutch Blitz" also known as "Ligretto". This is another fast paced game where you need to get rid of your cards on to piles in the middle of the table. An extra unintentional skill kids learn while playing this game is learning to add negative and positive numbers. When keeping score, you'll be going up and down - adding and subtracting and making negative/positive number computations. This game is great fun! As a grown family, we have bought quite a few sets of cards and played with 12+ players dividing the teams onto different skilled tables - and of course, the aim is always to get to the "Top Table." 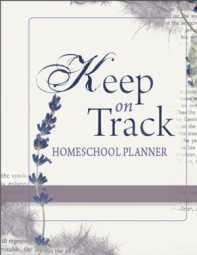 As you homeschool, you will naturally make up your own rules and additions to the games you are playing. 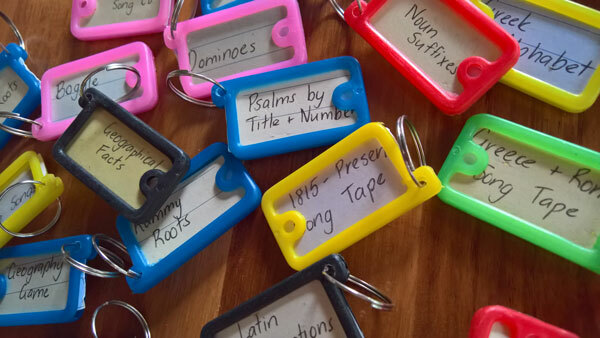 Perhaps you will add a set of flashcards for reading practice, some extra dice for fun operations, a set of cards to match dates and events in a Bingo format. 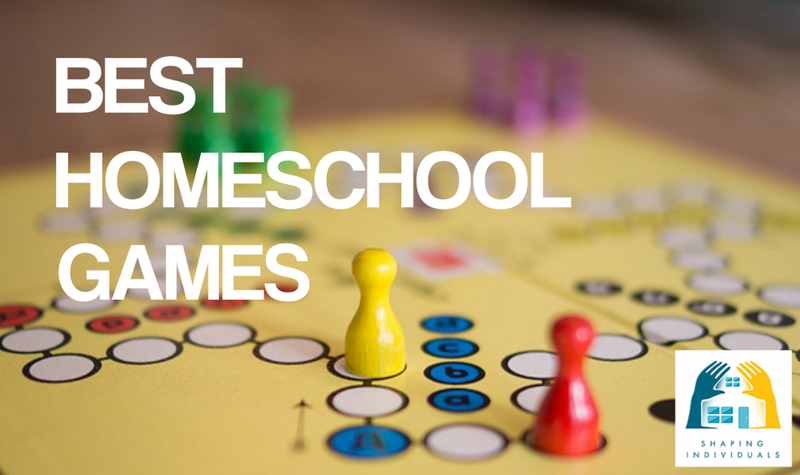 There are numerous ways to create your own homemade homeschool games. In fact, while studying Biblical history, we decided to finish our thematic study, by creating a board game. Each child made their own game with set of rules, characters, map etc. It was an enjoyable learning experience for both the child who created the game and the rest of the family who played it. Ben, our biggest "game" player decided to create his own History game called, "BattleTime." BattleTime is a card game with 100+ historical characters. Each character has Defence and Attack points and the card game is played with a number of players. The aim is to win the round and get rid of your cards. Great fun! It uses the historical images of each character and incorporates the knowledge of battles and victories into the "Specials" on each card. When children play, they engage with their environment in a safe context in which ideas and behaviors can be combined and practiced. Children enhance their problem solving and flexible thinking, learn how to process and display emotions, manage fears and interact with others. Some of the homeschool games above are under structured rules and within certain boundaries, but we should also include free, unstructured play to be a part of our children's lives. So, I would encourage you to seek to have a balance of free, unstructured play and homeschool games which are brought to the table - quick games and games which are great for a family evening. Don't worry about fitting it into your curriculum package - or making it 'educational' - because without intention - these games will add to your child's life and will add a ton of wonderful family memories! And ... isn't that what homeschooling is all about! Building and growing relationships with each other! Enjoy! Read more ideas on bringing families together.